In 1932, two events happened in Sydney that would ultimately shape the Australian experience. The most well-known was the opening of the Sydney Harbour Bridge. The lesser known was Greek migrant Joachim Tavlaridis opening the first ever milk bar in Australia, thus creating a long-held tradition that milk bars are at the core of the Greek Australian migrant experience. 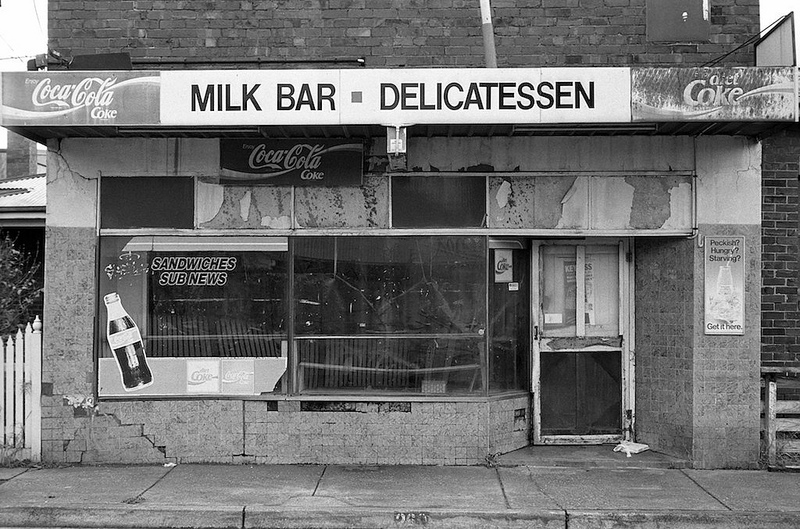 Milk bar is a term in some parts of Australia for suburban or country general stores or cafes. Similar terms include ‘tuck shops’, ‘delis’, and ‘corner shops’. 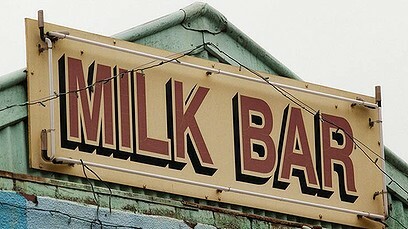 Milk bars are traditionally a place where people pick up milk and newspapers, and fast-foods like fish and chips and hamburgers, and where school children purchase milkshakes and lollies. The first business using the name “milk bar” was started in India in 1930 by an Englishman, James Meadow Charles when he opened “Lake View Milk Bar” at Bangalore. The concept soon spread to the U.K., where it was encouraged by the Temperance Society as a morally acceptable alternative to the pub, and over 1,000 milk bars had opened nationally by the end of 1936. Milk bars were known in the United States at least as early as 1940 as evidenced by contemporary radio recordings. By the late 1940s, milk bars had evolved to include not only groceries, but also became places where young people could buy ready-made food and could socialise. Milk bars often used to include jukeboxes and pinball machines, later upgraded to video games, with tables and chairs to encourage patrons to linger and spend more money. The milk bar as a social venue was gradually replaced by fast food franchises. 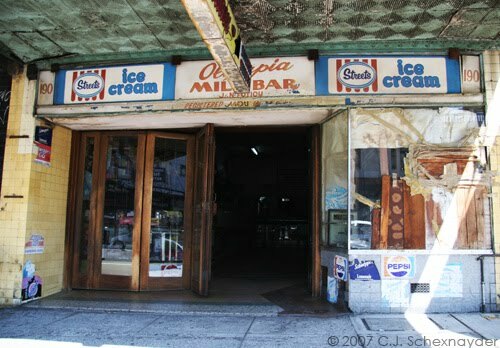 Much of the elaborate decor has disappeared from the remaining milk bars, but can still be found in out-of-the-way country towns. Milk bars in Australia today almost universally sell ice creams, sweets, chocolate bars, soft drinks, newspapers, bread, milk and occasionally fast food. Some also serve milkshakes. Although there are far fewer milk bars than there were during the 1970s and 80s due to changing shopping habits, people living in country and suburban areas might still have a milk bar within walking distance or a short drive of their home. The proprietor was invariably male, and worked the shop together with any of his children who were old enough, and perhaps one or two assistants. His wife was hard at work sourcing ingredients and preparing them “out the back”, jugging this with the role of mother – which was possible because the family usually lived upstairs, above the milk bar. Every milk bar was different and reflected the aspirations of its owner. The work was hard and the hours were long, yet the Italians and Greeks who ran many of the milk bars in Melbourne and Sydney seemed to always have a smile and a cheery greeting, and plenty of time for their customers (adults and children). There are still a few traditional milk bars in the cities, but – as previously mentioned – they are more likely to be found in the country towns where they meet the needs of travelers as well as locals. 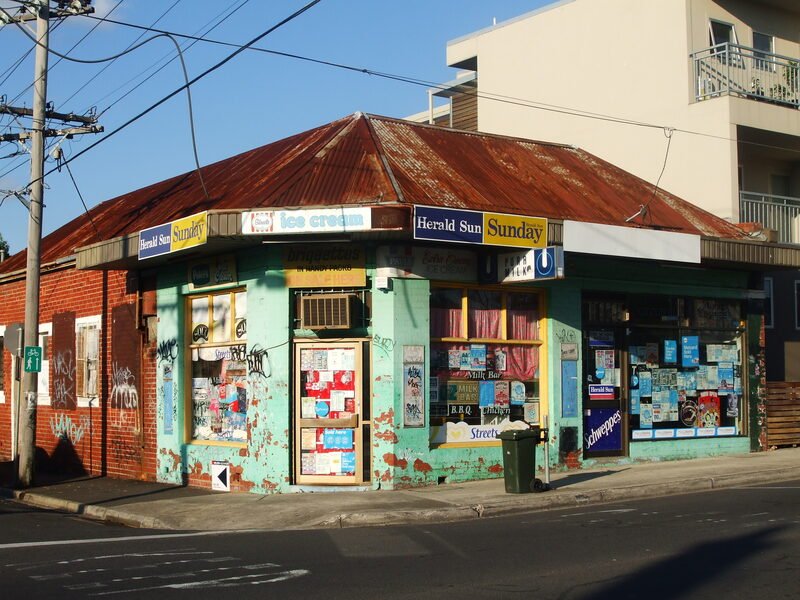 The almost-legendary Stanmore milk bar in Parramatta Road. Beautiful photos – I just wrote a short post on some sadly empty milk bars I’ve come across recently (like little abandoned nests) – it was really nice to find your blog. However…. you may be happy to know there are still a few in Ballarat & surrounds…. for how long I don’t know! !